More than 400 senior executives from across the bioplastics value chain attended this year’s edition of the European Bioplastics Conference, which took place on 4/5 December 2018 in Berlin, and caught up on the latest developments and trends in the bioplastics industry in Europe. This business and discussion forum has evolved into the most important business dialogue for the bioplastics industry. 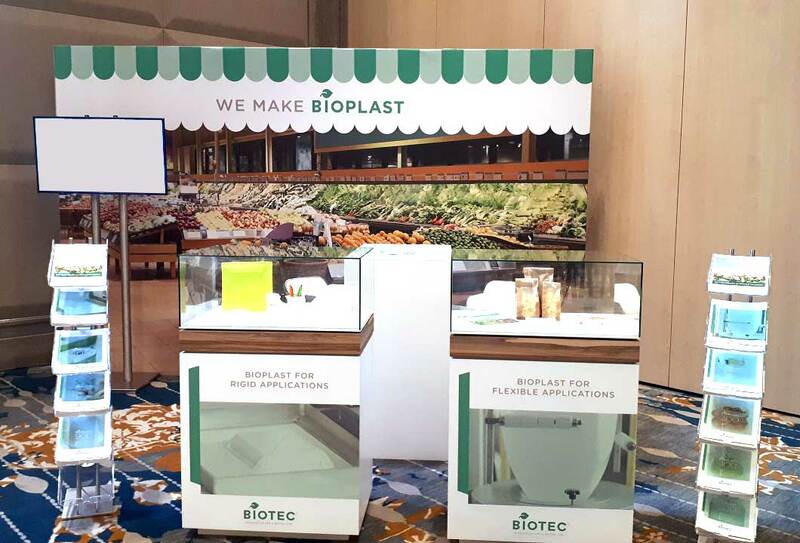 For BIOTEC, the conference was the ideal platform to give a review on the solutions for flexible and rigid applications offered by the different BIOPLAST grades. Especially on the first day of the conference, BIOTEC welcomed a lot of visitors at the booth and had some very interesting talks.